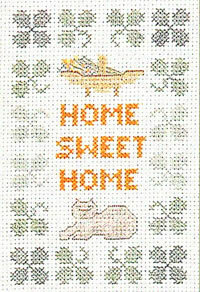 a humorous sampler for cat lovers with a black and white cat posing imposingly on a mat (as they do !). 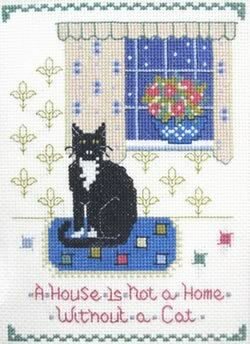 This naive style sampler is coloured in blues and pinks with a black and white cat posing on a mat (as they do!). 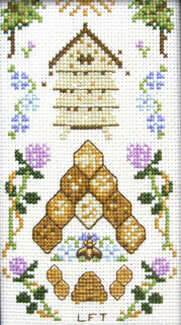 This Cat Sampler cross stitch kit only the best quality materials ~ Zweigart fabric, DMC thread and a needle.